Which town/city did you grow up in? What was your relationship with books and writing when you were a child/teenager? When did you start getting serious about writing? I grew in Baltimore, MD. In my teenage years, my relationship with books was off and on. However, I got interested in writing from watching movies and listening to a radio show called mystery theatre. My first attempt to write a book came when I watched a movie called Towing Inferno. It was about the tallest building in the word catching fire. I loved the movie so much that I began to write a book about the tallest technological advanced high school in the world. The plot for the book was about the land the school was built on, which unstable and a conspiracy ensured to hide this evidence from builders and land surveyors. As it stands, the computer automation center on the ground flood collapsed, trapping thousands of students in all kinds of dire life threatening situations to be rescued from. My other experience with writing came from listening to mystery theatre on the radio. From this event, I would write short stories to submit to the radio station but as life goes sometimes, my stories were rejected. One of the stories I wrote was titled, "The Transylvania Electric Knife Slice Up." I remember reading the short story to some of childhood friends and they were scared out of the wits while I read the story. It would be years before I picked up writing seriously again. It was in my thirties after a divorce that I desired to write again. The book focused on healing the wounds of broken men from childhood. Besides being a writer, what was the most interesting day job you ever had? What do you miss most about it? Well, I think the most interesting day job I've had was the time I spent in the Army. What I miss most about the Army is the comrades I became friends with and the relationships among Soldiers. What's odd about my time in the Military is that as a Soldier maintained his equipment using a Army magazine called PS Magazine. I used this magazine frequently to take care of my tank artillery. The interesting this is after I got of the Army and pursued a college degree, I ended up working in the government in the organization the produces PS Magazine and have been writing articles about how to take care of Army Helicopters and ground support equipment. For the past 30 or more years I've worked in the writing business as technical writer for Army equipment and writer for the Army's PS Magazine that's been helping Soldiers for more then 60 years. Who would have thought I would read the magazine to take care of my equipment and then one day write for the same magazine years later. I think that's interesting. What was your debut novel and what inspired you to finally pursue your dream, write and publish something? My debut book which took me seven years of research and writing is titled, False Roads to Manhood: What Women Need to Know: What Men Need to Understand. My inspiration to finally write and publish my first book stems from my divorce. In the events of that time, I found it difficult to find books that help men recover from divorce and become whole again. 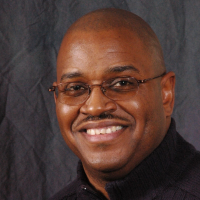 That experience spurred my desire to help men recover from brokenness and gave me the desire to write and publish my first book. It had been a desire since my teen years to write a book and I finally did in thirties. What is a misconception a lot of people have about theology and spirituality? How do you hope to change that? The misconception I think people have about theology and spiritually is that they are somehow synonymous or interchangeable. Theology is how one thinks about and examines God, or should I say Yahweh. Spiritually is more of how one lives out their spiritual lives and how that helps humanity become less disconnected. I don't know if changing misconceptions is my goal, but what I'm interested in is how people's theology and spirituality impacts relationships among people and how they relate to each other being aware of their skewed theology and spirituality. In theology, cultural influences often get left out of the interpretation equation and that leads to dogma. In spirituality, some if it's tenants can lead to people becoming intensely emotional. My desire is to help people not mix theology and spirituality into the same bowl. They are distinct entities and when they are mixed and matched you usually end up with interpretation that I call con because text was kicked to the curb. In theology and spirituality context is everything. 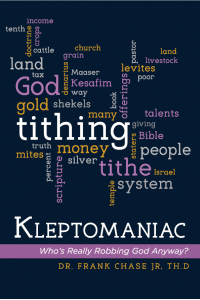 What motivated you to write "Kleptomaniac: Who's Really Robbing God Anyway?"? What was the hardest part about writing this book? The motivation behind writing Kleptomaniac: Who’s Really Robbing God Anyway is a 30-year unfolding tale of suspicion, intrigue and questions. My quest for truth started innocently when I first became a believer in the Messiah. One of the doctrines I first became indoctrinated to was the practice of paying ten percent of my income to the coffers of the institutional church as a command from God. As the years passed by I began to question this overtaxing financial obligation. Although it was tough to pay this kind of money years after year, I dutifully kept my obligation to pay God ten percent no matter the circumstances. Even in the face of not being able to pay my bills and struggling to feed my family, I paid God what He required to His representative on earth—the Church. I did this in hopes of receiving a financial blessing from God for my commitment. The scriptures pastors relied on for monetary tithing resides Malachi 3:8-10. As the years passed, I began to notice the windfall financial blessing I hoped to receive from God never materialize. The abundance that was to overtake me financially somehow escaped my grasp. After 30 years of paying ten percent of my income as a so-called tithe to God, my questions about the practice grew as my financial struggles mounted. About several years ago, I started investigating the doctrine of tithing on a deeper theological and scholastic level out of a need to try to find some financial relief. Now, I was faced with a theological decision about what I would do about my new found information. My first action was to write my church leadership about my decision to resign from monetary tithing and to take sabbatical leave to go on a yearlong study of the subject and come back with an empirical analysis on what tithing is in the Bible. Needless to say, my decision did not go well and the struggle for truth began. Even as I stepped down or was removed from leadership depending on who you talk to, fellowship with this church became more difficult because leadership felt I became a financial threat to the bottom line if the congregation discovered what I had learned about tithing. In the end, I was indirectly excommunicated from that church. After leaving that institution, I began studying tithing and compiled 117-page power point study and sent my finding to the church. Kleptomaniac: Who’s Really Robbing God Anyway started as a power point study and expanded into a 400 page theological manifesto based on empirical, academic, scholastic research that went from the church in America to the land of Israel. In that journey, I discovered that tithing monetary income is not contained on the pages of the Holy Bible, nor was it ever uttered from the mouth of God that a tithe is ten percent of a person’s income. Writing this book about tithing monetary income and giving gave me biblical insight into the scriptures that changed my life forever. The academic study of tithing is a journey not many Bible readers undertake to understand scriptures. Finally, the hardest part about writing the book was my vacillating about whether I should write and publishing the book at all. Going back and for on publishing the book happened because I was concerned about the push back and rejection I would suffer from Churches and other Christian folk. Another hard thing for me to do was to say the end. Meaning, I could not put everything I learned about tithing into the book, because it could have been 1000-page book. When it comes to the Bible, there's always a risk of letting personal opinion cloud the true meaning of a phrase or verse. How do you keep things accurate and factual and without any risk of contaminating the true meaning? You are correct about personal opinion clouding biblical interpretation. Although no one has perfect knowledge of Yahweh and the scriptures, no one has all knowledge. However, there are some principles of Biblical interpretation that should factor into Bible exposition. I believe cultural, political and social influences play a big role in affecting the meaning of a text and how a verse is applied today. That's why hermeneutics, exegesis, context and the culture, land, language and literature of the people to whom the text was written to should always be at the forefront in seeking accurate and factual interpretation. I use the factors in my biblical study to avoid contaminating the true meaning of a text but that does not mean I'm perfect. Of course, no theologian, biblical scholar and seminary professor is perfect because we all grapple with denominationalism. I always keep in mind that when I'm reading the Bible, I cannot forget that it was written to a specific audience, people and situation covering an event or events that happened two thousand years ago. So it behooves me to make sure I understand the original people of that time and the political and social influences surrounding them. Far too often western civilization imposes its modern technicalities onto the scriptures and that's where inaccurate and nonfactual interpretation comes in. Believe me, it's hard not to impose modern day thinking into the text. As humans, we want scripture of antiquity to fit our modern thinking parameters. 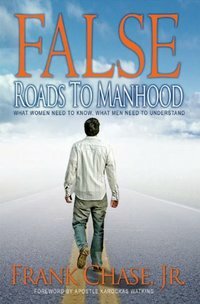 What are some important issues you tackle in "False Roads to Manhood"? What do you think makes this book a must-read? False Roads to Manhood tackles issues of fathers and sons, the lack of male friendships throughout life and it's affect on lifespan. Other important issues the book covers is how men deal with brokenness and how they hide those feeling behind persona's such as hyper-masculinity, muscular Christianity, touch isolation and other be strong and don't let 'em see you sweat constructed personalities that are actually harmful to the male psyche causing emotional distress and isolation. The book examines the effects of truancy, rejection, anger, discouragement, ignorance, transiency, incarceration, offenses, and nomad syndrome as roads that men travel on the way to manhood. But also offers off ramps to authentic manhood. 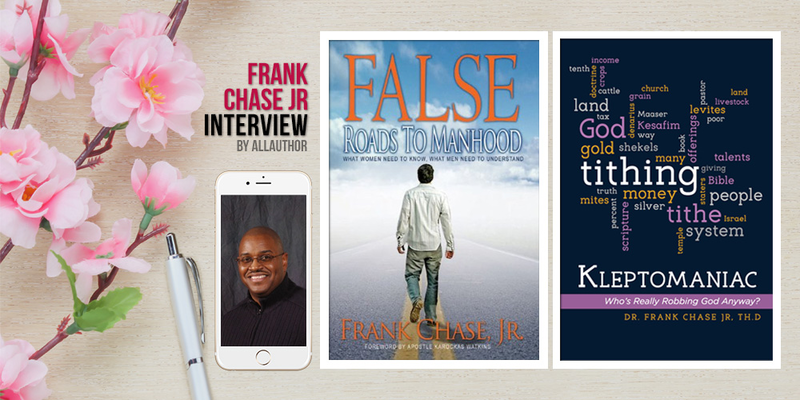 False Roads to Manhood is a must read because it guides men on an extraordinary journey through their proverbial masculine soul and help men exit from the false traditions of manhood. What is the most encouraging message you've ever gotten from a reader? For my book, Kleptomaniac: Who's Really Robbing God Anyway one reader wrote, "Thank you for your courage. I am devoted Christian who has chosen to be a full time wife and mother instead of chasing the mighty dollar. Your book [Kleptomaniac: Who's Really Robbing God Anyway] has helped to set me free from guilt. Thank you for helping me stop thinking of God as a mafia godfather, and torturing myself when a car repair, doctor's visit, helping my aging parents or any other expense prevents me from giving more. God bless you." Have you faced any sort of backlash with either one of your books? How do you, or any author for that matter, deal with negative reviews of any sort? I faced no backlash from my first book, False Roads to Manhood, but it is a totally different story when I wrote and published my book, Kleptomaniac: Who's Really Robbing God Anyway? I look at negative reviews as a person's right to feel how they want about a book. So authors should treat them as educational knowing that every reader will not like or agree with your book. Most of the negative reviews I received from Kleptomaniac came during the writing process. Once I began to share with people about what my book would be about, I got a lot of nasty looks. Some of them even condemned me to hell for even writing it. The verbal backlash was most vicious because I did not think people were so invested in not trying figure out the facts and were not interested in biblical accuracy. If you weren't a writer, what do you think you would be doing and would you be as happy as you are now? If I weren't a writer, I think I would be an actor on stage which was my other passion as a teen in high school. Between writing and acting, I'd honestly have to say that I might have been a little more happier in the acting profession. But in acting, there is script writing, so in the final analysis my happiness would be about the same after all. If you had one more day to live, what would you do to ensure that you had no regrets when the time came for you to pass? Wow, I've never been asked that question before. Whew! I would make sure that I held no ill will towards anyone who hurt me over the years of my life and that I gather all my children or leave a message with them and let them know that life is short so enjoy it and let nothing separate you from one another and don't live with anger or pain but let it all go. How would you describe your journey as an author in three words? What has being a writer taught you? My journey as a writer in three words can be summed up like so: on and off. Being a writer has taught me that everyone will not agree with you or what you may write. I've learned as a writer that when looking for an editor, be careful and get multiple recommendations before paying for editorial work. Writing has taught me that the pen is mightier than the sword because words from hearts can become books forever and change the world if the author's motive is pure in advancing the good in humanity. Writing and publishing a book leaves a record and a legacy that can help future generations long after you have passed on. What are some current and future projects you're working on? Do you ever plan on experimenting with writing fiction? Right now I have another book in the works dealing with encouragement from the scriptures. As far as any future projects on the horizon, I have none at the moment. Yes I do plan on writing a fiction novel. I'm thinking about some of the stories and ideas I had when I was a teen and maybe picking up some of the ideas and finishing them. Author and former military man Frank Chase Jr. grew in Baltimore, MD. He got interested in writing from watching movies and listening to a radio show called mystery theatre, but it was only in his thirties after a divorce that his desire to write escalated. His debut book "False Roads to Manhood: What Women Need to Know: What Men Need to Understand" took him seven years of research and writing. If he weren't a writer, Frank would be a stage actor as it has been his passion since high school.Being a writer has taught him that everyone will not agree with you or what you may write, but it leaves a record and a legacy that can help future generations long after you have passed on. He is currently writing a scripture-centered book and also plans on writing a fiction novel soon.